It is now two years since Apple decided that an image of a gun had no place as an emoji. The company replaced the handgun icon with an image of a water pistol, leading to a debate about whether it was the right thing to do. With further serious shootings and gun crimes bringing firearms into the spotlight time and time again, more technology companies decided to follow suit. 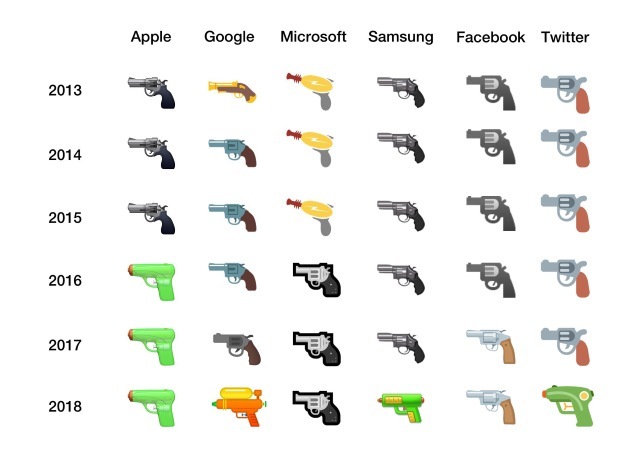 The latest names to follow Apple's lead are Microsoft, Facebook and Google, all of whom plan to kill the gun emoji and replace it with a water pistol. Google is due to roll out an update to Android this week which will replace its gun emoji, and Facebook has also confirmed that it plans to do the same. It's not clear quite when the social network will make the change, but it is on the horizon. While the move will please many people, it will almost certainly lead to further debate about whether the changes are necessary. 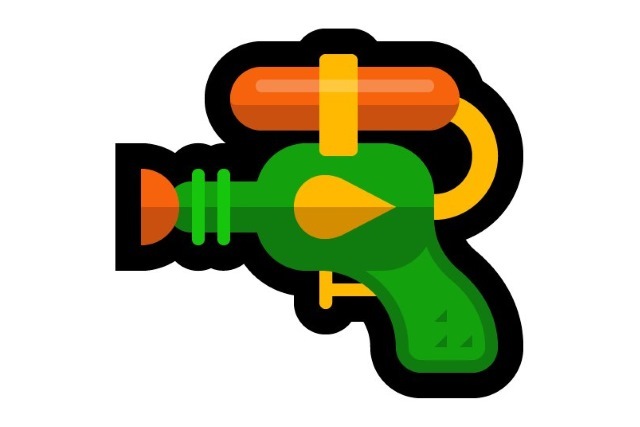 As you can see in the Emojipedia image above, Microsoft was actually the last company to start using a "realistic" gun emoji, having opted for a ray gun instead for a number of years.